The mark of a true leader lies in leading by example, one who raises and maintains the bar on discipline. They are given a position of honour of guiding others with their words and actions – honour can never be synonymous with profanity or vulgarity. The disrespectable act lacks class and hence leaders must influence others in a positive way. Positions of leadership require a sense of intelligence, cordialness and communication. All of these are unwelcome of profane language, at least in the modern business world. Gone are the days when leaders were seen as authoritative individuals who could curse in a chauvinistic manner. It may be argued that profane language may rally certain troops, keep them on their feet, and instil a surge in work rate. It was even considered acceptable to be immensely harsh on employees. However, times have changed; people are more sensitive and no longer relate to the sailor-language. Leaders must respect people’s emotions and how they may react to harshness. It causes more harm than any good and leaders should hence represent true empathy and discipline in thought, words and actions. The character of a leader is reflected in employees and tardiness honestly creeps in faster than exuberance. Professionalism is held in high regard in all facets of business: client acquisition, consumer service and engagement, product or service delivery, employee management, etc. 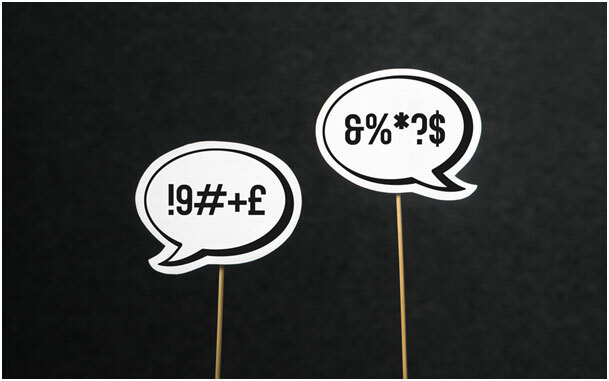 It may therefore be interesting to note the revelations of a survey that indicating that about 81% employers themselves believed that profanity at work brings professionalism into question. Others have been concerned with lack of control (71%), lack of maturity (68%), and lesser intelligence (54%). On another hypocritical note, 1 in 4 employers admits to swearing at their employees. Professor Jeffrey Bowers from the University of Bristol once carried out a research assessing the effects of profanity on people. Volunteers were wired to a machine that monitored stress levels by measuring their sweat. They were asked to say swear words and euphemisms aloud. They ended up showing higher stress levels while swearing. This has been reasoned down to early (childhood) verbal conditioning. Young children hence observe their parents’ reactions to taboo words before they understand what they even mean. Bowers said that all sorts of emotions are associated with the sound of swear words as we are growing up. Hence, the implications of profanity on us are deeply ingrained during our developmental stages. We are triggered causing poor effects to our thoughts, attitudes and moods. In other words, it causes discomfort. Leaders must hence encourage positivity at the work place – an environment that is empathetic, exuberant, and disciplined. They are influential in setting standards of professionalism where employees will follow their footsteps.